Benjamin Hodson Fitness » Lactic Acid – Dispelling the myth about the ‘burn’! Lactic Acid – Dispelling the myth about the ‘burn’! We’ve all had it. That muscle burn during high intensity workouts that stops us in our tracks we associate with lactic acid. But is it lactic acid or some other process going on? Research suggests that ‘lactic acid’ cannot exist in the human body. The term has been thrown around sports science since the 1920’s due to the link between the production of ‘lactate’ during high intensity exercise and acidosis in the muscles. Lactate, it then seems, does not cause acidosis in the muscles. When you do high intensity exercise, energy production through the normal ‘aerobic’ pathway isn’t available as there’s not enough oxygen coming into the system. Energy production is therefore supplemented through a process called anaerobic glycolysis, the anaerobic route without the presence of oxygen, which creates a high energy compound called ATP and by products called Hydrogen and Lactate. It is the hydrogen that interrupts the natural PH balance of the muscles, interfering in your muscles fibers’ ability to contract which causes the burn that eventually cuts your exercise short. Lactate actually works against hydrogen to neutralise the acidity in the muscles so that you can exercise for longer. What about the burn after you’ve finished exercising? Between 12 – 72 hours after exercise the burn you’re experiencing then is known as Delayed Onset Muscle Soreness or DOMS, attributed to simple mechanical damage through microscopic tearing. So lactate is a good thing? Absolutely. You would not get fit without it to the same degree you do with it. Lactate production during intense exercise stimulates a phenomenon called mitochondrial biogenesis after exercise. The mitochondria are little factories inside the muscle cells where aerobic metabolism occurs to yield energy. An increase in the concentration of mitochondria inside muscle cells is one of the major adaptations to training that improve endurance performance. And lactate makes it happen. Hence why endurance athletes train high intensity intervals in order to improve their endurance capacity and performance. How will it make you fitter? The answer is train like an athlete. High intensity interval training and more specifically lactate threshold training will boost your fitness like no other. 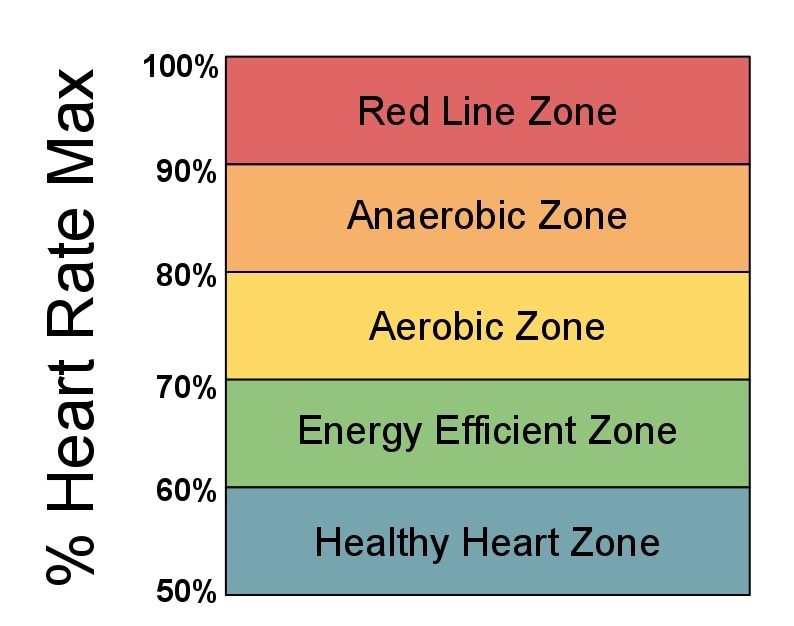 Training intervals where your heart rate is essentially going into the anaerobic training zone for sustained bouts (roughly over 80% of maximum heart rate) and then recovering in the aerobic training zone (below 80% of maximum heart rate) will train the buffering capacity of lactate to the burning effect of hydrogen and therefore enable you to work at higher intensities for longer. Post-workout, the high lactate levels will increase the energy producing factories or mitochondria, increasing endurance and aerobic fitness.